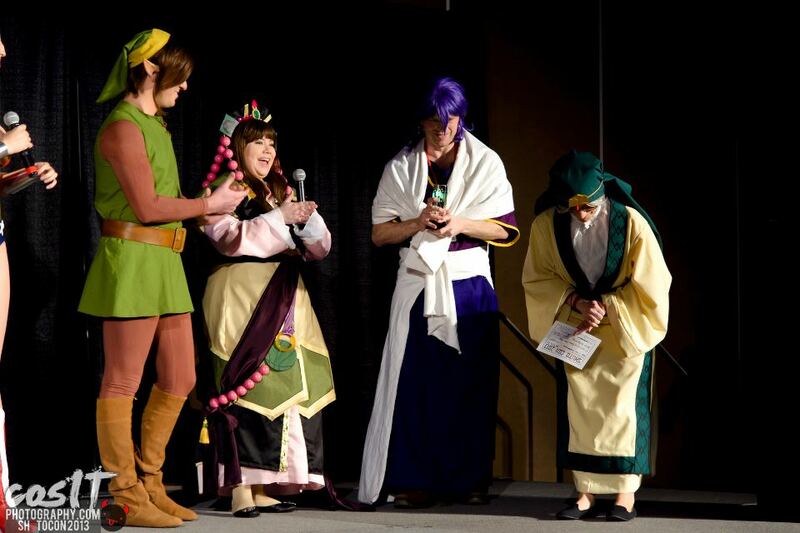 As if all that traveling wasn't enough, I had another convention coming up: SHUTO CON. Three days of finish up badges and packing all my things, we headed out to Shuto Con. Shuto Con came and went like a blur for me! But this is a good thing. We arrived on Thursday to check into the rooms. We were staying in the main convention hotel which for me is usually a must when it comes to doing Artist's Alley. I definitely felt like being lazy this convention so I brought some easy cosplays as well as even going in regular clothing on Sunday (but at least I wore a wig, so I was "dressed up" technically). I was just so tired from all the traveling and cosplay I decided I needed to take it easy. 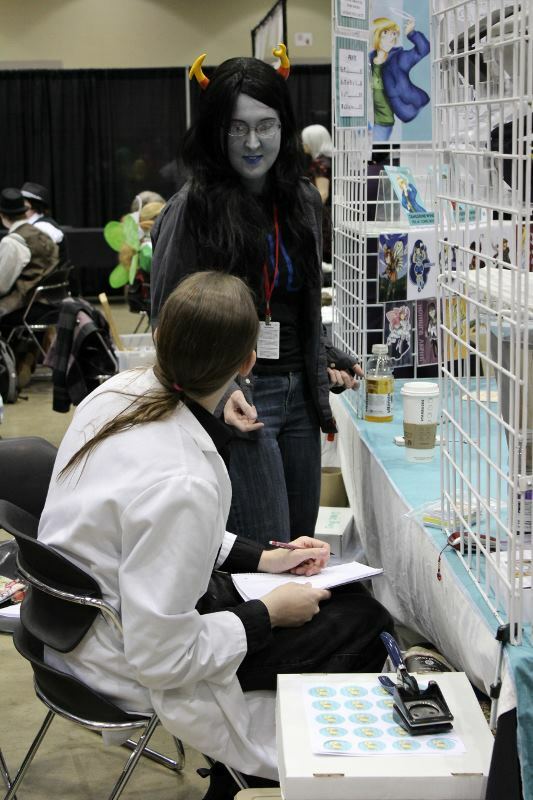 Anyway, I was Vriska on Friday (what a choice! haha). We set up the booth and started vending. It had been a good month since Katsucon (and I didn't spend a lot of time at the booth at that show due to WCS), so it felt good to sit down and actually vend my artwork again! I'm not wearing my armsock thingies because I was using markers. After a short crisis due to forgotten signs and a last minute run to Fed Ex in Lansing, we were able to get everything set up. I have a lot more prints now, and it appears to both Aris and I that prints are becoming in vogue again. So I'm working on a lot more for the booth. 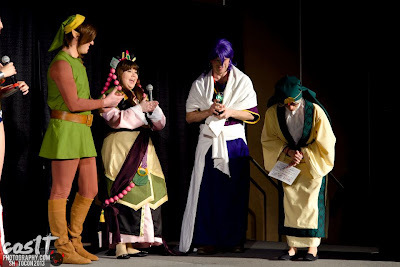 Friday I helped with a "So you want to be in a Costume Contest" panel (which was fun because I got to be the "real life judge they could talk to") so hopefully we helped some people out! Then the alley closed pretty late (later than I'm used to) and I got set up and ready for a new panel called ART JAM! It was two an a half hours they gave me with the big workshop room, and anybody could come in for a nice quiet time. I had quite a few people come to the panel, which I was surprised about because it was so late (9:30 to midnight!). So that made me very happy. I think a lot of people just liked being able to come in and relax in a quiet room for a while, which I was totally okay with. 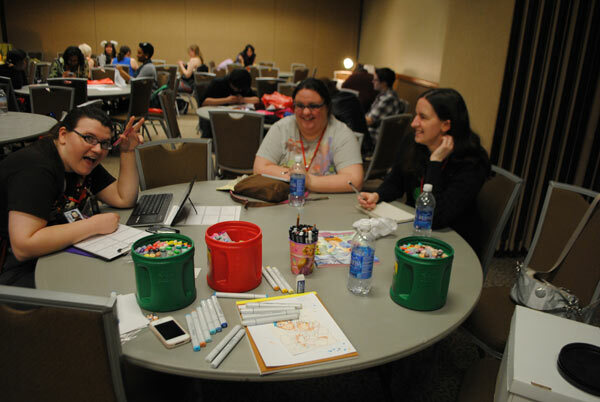 There were lots of markers, colored pencils and supplies floating around so people could draw if they didn't have sketchbooks with them. One person even brought their laptop and tablet! That was pretty ingenious. Saturday came, and I was dressed again in Alibaba (what can I say, he's really comfy! ), and this time around I had a Sinbad and Jafar hanging out with me too. They were my roommates, who also happen to be part of Sanddiver Studios. 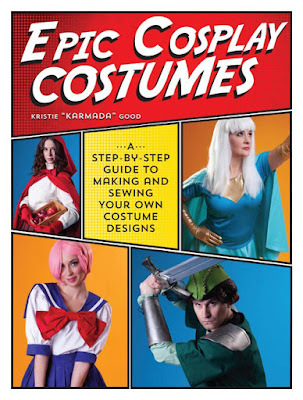 They do awesome work, and we'll be together again at ACEN so hopefully I'll have more pictures. I helped out with some cosplay panels during the day, and then later that evening was the masq (I was still working the booth at that time). 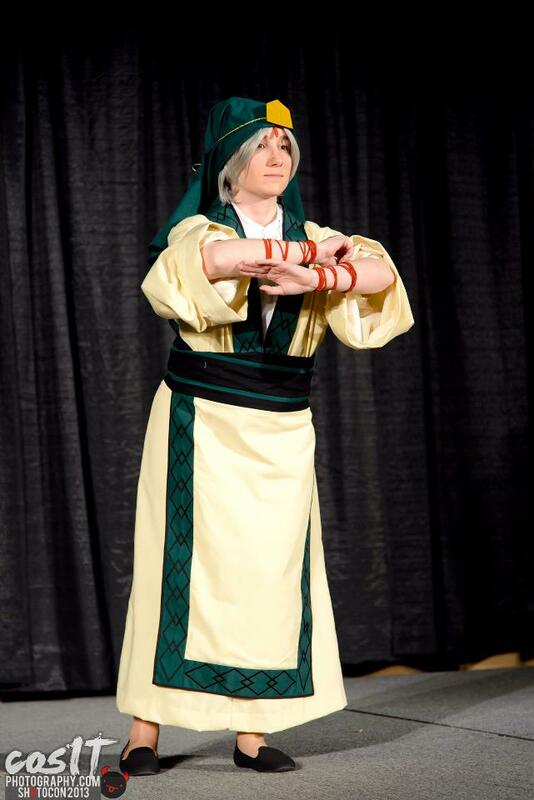 I have to admit (with a little bit of pride) that Samaru's Jafar outfit he created won BEST IN SHOW at Shuto Con. So, you're not allowed to gripe about lack of awards, y'hear! YOU DO GOOD WORK. Trust me, I know these things. Then after we all got together again, I had two MORE panels to do. Hahahaha. I think somebody was taking pictures while I was presenting so I hope maybe I can find them. I was giving my Time in a Box and Her Legs are How Long panels. The first is where I talk about how to make comics awesome, the second is a lecture then follow the leader exercise in drawing people. I spend about half the time talking about how people are proportioned, and tips you can use to make sure your characters are okay looking, and the second half is me doing a step by step drawing. We had brought a VGA splitter (thank you Samaru! ), but we were feeding to televisions, so thankfully my laptop had an HDMI port, but it made display very awkward. Thankfully they got us an extra cord and I could run my Cintiq directly to the monitor. It sounds very complicated and it was, and thankfully I had another comptuer person there to help me because I was so brain addled from selling I didn't know WHAT way was up or down. Both panels were PACKED. I was so pleasantly surprised (especially with it being so late). I'm glad that people appeared to have a great time, and got all inspired to do art. 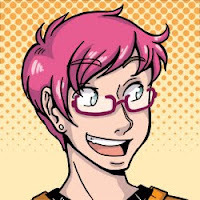 I'm hoping to maybe make some posts talking about stuff from those panels up here in further detail. I just love talking about art. Anyway, Sunday came (we got smart and woke up SUPER early, packed the car, then went and slept more so we didn't have to be caught by the elevators being full of AnimeKidstm) and we did our last day of selling. I was so exhausted by the end, we just packed up and went home as soon as everything died down that afternoon. I apologize to anybody who wanted to say bye! I was about to collapse so we just packed it up and called it a day around 3:30. (we left around 4). I had a bunch of commissions to work on, and another convention coming up in about 5 days! OH NOES. Anime Park is a small one-day convention put on by my old High School's Anime Club. It's pretty non-descript, we showed up early in the morning, set up, sold for about 8 hours, and then went home. :) I wore a pretty blue wig in a braid and sat around and drew a lot. Sold some things, made back my table and more, and sat around and chatted with a friend of mine and her boyfriend. Future sister in law came by, dressed up as Ellen from Tangerine Wings, which was super awesome - I wish I had remembered to get my OWN pic before she headed out. Thankfully I think she's got one. I'd put pictures up here, but I was so tired I forgot to take any. BLAH. Had some good Ramen at a local restaurant, and then went home. The next show isn't until Mid May (Anime Central, 17-19), so now I have some time to finish those commissions and cosplays and the like. WHEW. Love love loved your panels! Art Jam was so great to just chill, draw and meet people. Clearly I was sitting at the best table there! (me in the middle of your picture, giggling like a fool ^^). I'm glad you've been able to have some just sellin' and drawin' time at these conventions.